Long time reader of the forum. Having seen enough to convince me that you are all certified crazy I thought why not sign up and contribute to the madness. Hello! My name is Angela and I am the Social Media Manager for Koin Limited, the Koin Club and World Challenge Coins. We have produced an Official Arsenal FA cup winners commemorative, in partnership with Arsenal and I think your members may be interested? I am a lifelong Arsenal fan at the not so tender age of 24! I try to get to as many Arsenal games as possible and this is limited to home games as I'm sure you can imagine. Also, I have just started (yesterday) to write a blog about Arsenal. It's more for me to easily express my thoughts on any given Arsenal topic whilst also trying to keep up to date with the goings on at the club. Please have a read and let me know your thoughts in the comments, all feedback, opinions and criticism is welcome. 35, grew up and still live in Washington DC. Been an Arsenal fan since 93(most of my family live in London). Just interested in conversing with my fellow Gooners. I literally have no interest in sports these days, other than Arsenal. Love the club, the history, and particularly the history of inclusion. Phil - 52. Been supporting Arsenal since the double year 71. Started going to Highbury with a big bunch of kids from my estate when I was about 8. Season ticket holder throughout the 80s. Travelled home and away every game for about ten years. Since then I've attended games where and when I can due to family and business commitments. 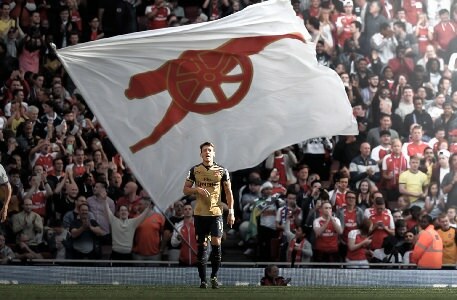 Love Arsenal. Love the game. Long-term supporter, mid-term GW lurker. Looking for banter anywhere that isn't Reddit! Chill_Grimandi wrote: Long-term supporter, mid-term GW lurker. Looking for banter anywhere that isn't Reddit! Hello My name is Luc and I'm new here. Luc wrote: Hello My name is Luc and I'm new here. I like Patrick Vieira, proper quality player. Hope you are all well. I'm Will, i'm 21 years old and I live in Surrey. I have been an Arsenal fan all my life and try to attend as many Arsenal games as possible, if i'm not playing football myself.